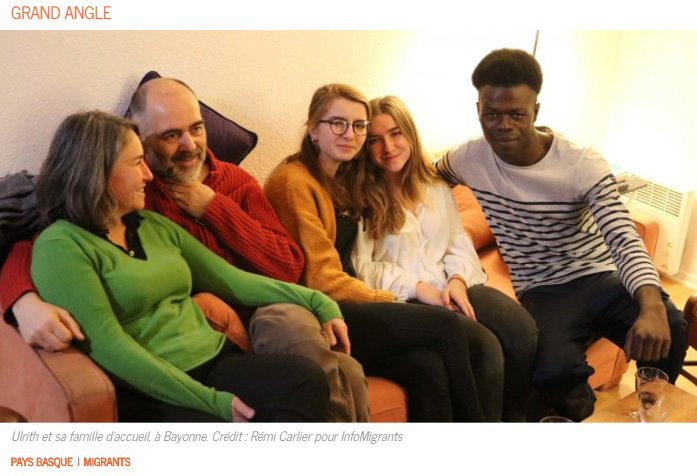 A French school teacher "adopted" what appears to be a 30-year-old grown man posing as "16-year-old refugee" to live with her and her four daughters in their home. Since the summer of 2018, hundreds of young migrants from sub-Saharan Africa have arrived in Bayonne, 30 km from the Spanish border. Some of them were welcomed by local families. This is the case of Ulrith, a Cameroonian minor aged 16, who was welcomed by Stéphanie and Pierre, parents of four children. When Ulrith, a 16-year-old Cameroonian, arrived in Bayonne on 24 October, he was thinking of continuing to Paris, "to find a solution" to his difficult life. After two and a half years on the migration routes through Nigeria, Niger, Algeria, Morocco and Spain, Ulrith is determined to travel the last kilometers to the French capital, this place where in his dreams, he says, "men walk with their heads up." But on October 24, his plans took another direction. After spending the first night outside, Place des Basques, with three of his comrades, Ulrith and his friends cross the path of Stephanie, a Bayonne teacher involved in a local network of migrants. She offers them to come wash at her house and then spend the night there. More than a month later, Ulrith is still there. His friends, on the other hand, continued their journey or were welcomed elsewhere. "Hosting it was not an easy decision," explains Stéphanie, mother of four girls, "but we found ourselves upset by the situation of these young people, although we read articles [on the migration situation], we do not know what it is until we have met their eyes ". 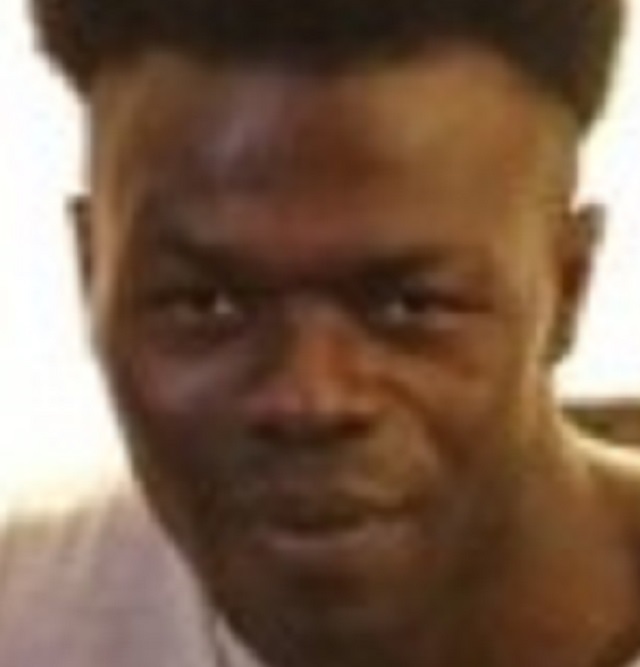 One look at his eyes shows he's around 30 years old. He has bags under his eyes and wrinkles on his forehead. 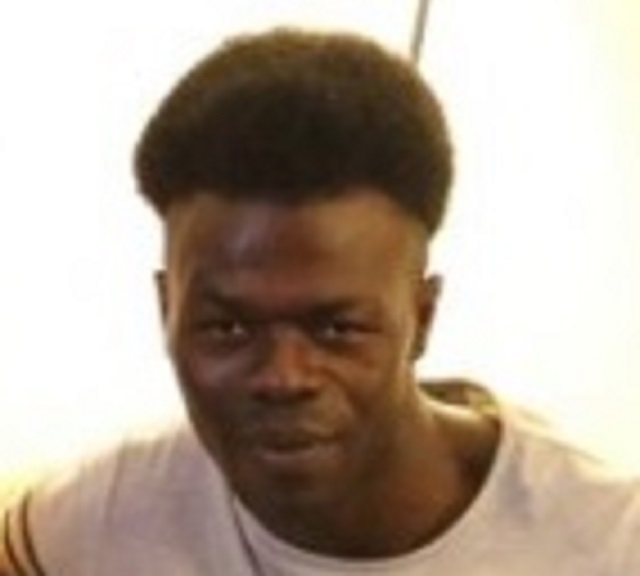 His hairline is receding. He's clearly capable of growing a full beard and his body size is at least equal in stature to the father. "I always dreamed of having a brother"
In the cozy apartment of Stephanie's family, in the heart of the historic district of Little Bayonne, the young Cameroonian quickly made his mark. "In Bayonne, I discovered a real warm welcome, at first I was very reserved, I did not want to open myself, but given the behavior of Stephanie and her family, I understood that I was with good people, "says the young man. The arrival of this big, sweet-eyed fellow in this home where four girls grew up has changed some of the family's habits. "We never imagined that we would welcome a migrant one day," said Peter, Stephanie's husband, in a burst of laughter. "But the upheaval of his arrival is very small compared to all we can "The young man who was able to enroll in third in a private college can - finally - blow .. Stéphanie and Pierre have offered him to stay the time he wants. "I do not consider ourselves an adoptive family," says Stephanie, because Ulrith already has a family. "We are his home". Everyone is aware of the volatility of the situation. Ulrith has still not been recognized as a minor. Stephanie helps her with her administrative tasks. But the record is complicated: the boy must prove that he is under 18 and fight against his status of "dublin". The fingerprints of Ulrith have been registered in Spain, according to the Dublin agreements, so his asylum application depends on the Iberian Peninsula. "Is it legal to welcome him? We did not ask ourselves the question"
Haize, 15, the last of the family to live in the apartment, is thrilled at the coming of Ulrith. "When, at a family meal, they asked me if I accepted to welcome him, I realized that I was going to leave my comfort zone, but if it is to offer a comfort zone to someone, that's not much, so I said yes, "she smiles, before letting go, the firm tone:" And then, I always dreamed of having a brother! " Her three sisters and she agreed to give him one of their rooms. "Is it legal to welcome him?" Pierre asked. "In the Basque Country, we have always harbored people in the illegal, given the history on the other side of the world. 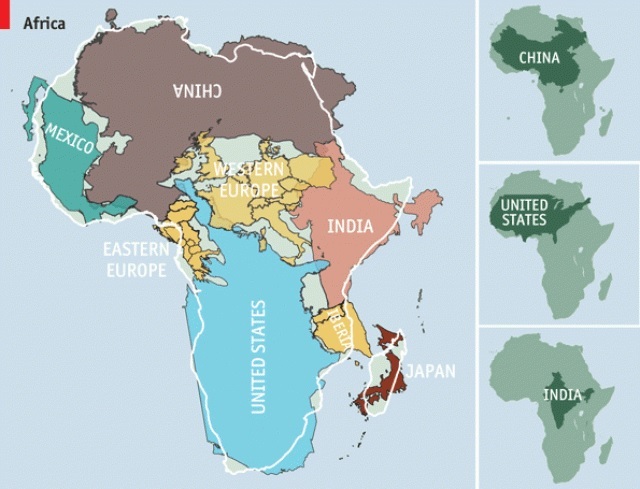 border [especially in the era of Francoism] ". This is having a "daddy," not a brother. Before arriving in Bayonne, Ulrith claims to have experienced a "terrible ordeal" on the road. Between the Niger and Algeria, in the desert, he saw many people die, including women and children. The worst for him is his stay in Morocco, where he spent more than a year. "I was psychologically sacked by this country, we were hiding in the forest, between Nador and Tangier, we were fleeing the police, who often beat us." Ulrith does not regret having left Cameroon, he feels that he had no choice, but he regrets that people are forced to flee their country "without being really threatened". "I left Dibombari [a village 38 km from Douala, in the west] because of the insecurity.At the death of my father, my uncle took care of us, but soon he threatened to When I was nine, he forced me out of school and I did not enjoy my freedom, I wanted to come to France to become someone, I wanted to study here before I went back to school. Cameroon to help my family. " He has to help his uncle who abused him? Who is his family? Does he have kids of his own and a wife at home he ditched so he could "become someone" in Europe? Ulrith, who keeps his feet on the ground, does not want to worry. "With all that I've experienced on the road, I've been thinking for a long time that no matter what happens, you have to go on, for good or bad, I learned a lot in my journey, which made from me what I am today. " 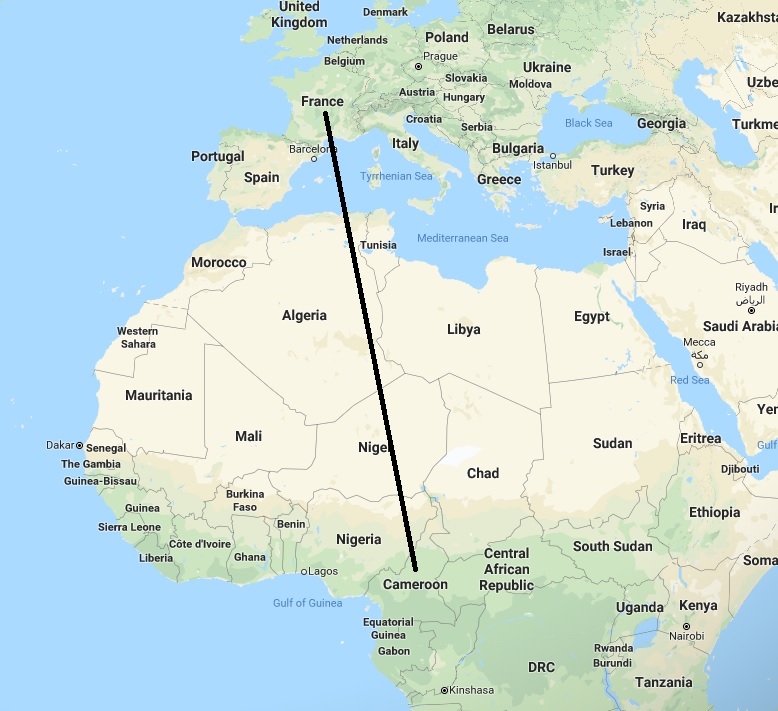 The distance from Cameroon to France is some 4,426 km by plane. Mr. Ulrith apparently couldn't be safe in neighboring Nigeria, which has the largest GDP in all of Africa, nor could he find refuge in Chad, Niger (which just adopted a law to protect and assist Africans fleeing violence, floods and droughts), Libya, Kenya or anywhere else nearby. No sir, the only place he could take refuge is in Europe -- and not boring old Spain -- he had to go France where he could strike it big! Judging by the situation he's found himself in, it looks like he hit the jackpot!